A gemological certificate is a document that certifies the quality of a diamond based on its cut, color, purity and weight, among other characteristics. 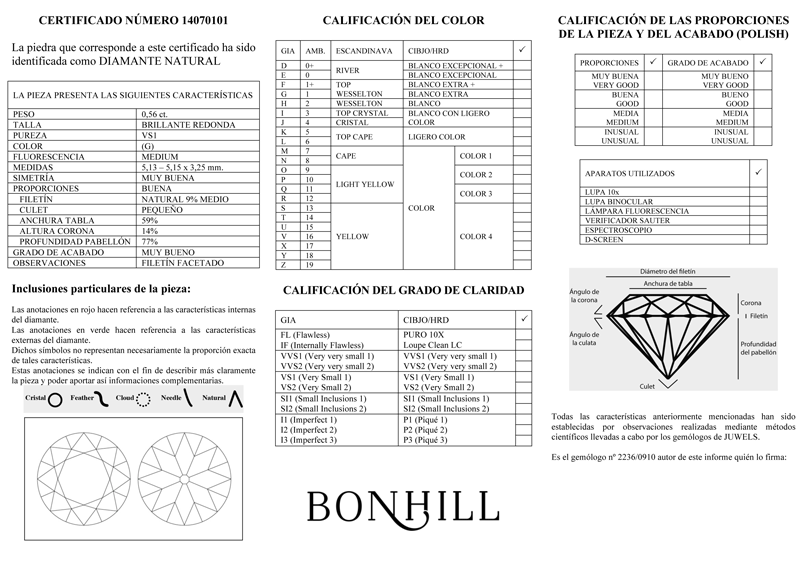 If you are the owner of an uncertified diamond from Bonhill, we advise you to ask for a time to make a Gemological Certificate that will reflect the unique characteristics of your diamond. All our certificates are made by Accredited Gemologists.